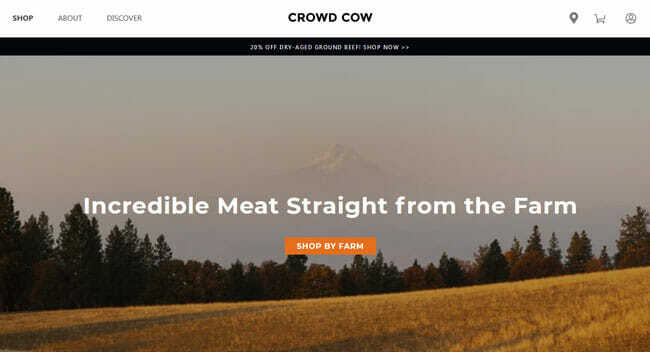 Crowd Cow is a premium meat delivery service based in Seattle. Since 2015, it has been offering the freshest pasture-raised, dry-aged beef of superior flavor and texture. Although beef is its primary product, the service also provides healthy, pasture-raised pork and chicken from family-owned farms. In addition to extraordinary meat quality, what makes Crowd Cow stand out from the crowd is its unique approach to the business that allows its customers to know exactly what they are buying, with no mysteries about the meat’s origin. If you want to know how this service sources its meat, how vast its offer is, how you can order, and how much its meat costs, keep reading this Crowd Cow review. Buying from Crowd Cow is as close as you can get to purchasing meat straight from the source. This service acts as a middleman between meat-loving customers and hard-working farmers and ranchers who employ the best sustainability practices. Let us draw a quick sketch of what this process looks like. Crowd Cow representatives meet with numerous farm and ranch owners and take long tours of their properties, getting to know how they raise their animals and sampling the meat to verify that the products are of the finest quality. They select a few of the best ranches and farms and feature them on the Crowd Cow website, providing plenty of details that let the customers learn where the meat on their table comes from. Unlike many other meat delivery services that require you to buy huge amounts of meat or store the meat for prolonged periods of time, until everything is sold, Crowd Cow sells one cow at a time. Each customer gets to claim a share of choice that can be as small as 1 pound. Once the entire animal is sold out, the farmers and ranchers get to work, everything is neatly packaged, and the service distributes the meat across America. This unique approach ensures maximum freshness of the products that reach your home. The ordering process itself is perfectly simple. You go to the Crowd Cow website, see what is currently available, choose the items you like, and place your order. Then, Crowd Cow informs you when your package should arrive and provides updates on your order status. The animals sell out surprisingly quickly, so you never have to wait for too long to get the meat you crave. You can shop as often as you want and get as much meat as you need. If you are specifically interested in ground meat, you can get a pasture-raised ground meat subscription and get 12-pound deliveries every 4, 6 or 8 weeks. There are 3 subscriptions, allowing you to get grass-finished ground beef, grain-finished ground beef or both. The subscriptions are perfectly flexible and you can easily speed up or postpone your delivery, depending on your needs. Cancelations are effortless, as you can end your subscription in a single click. 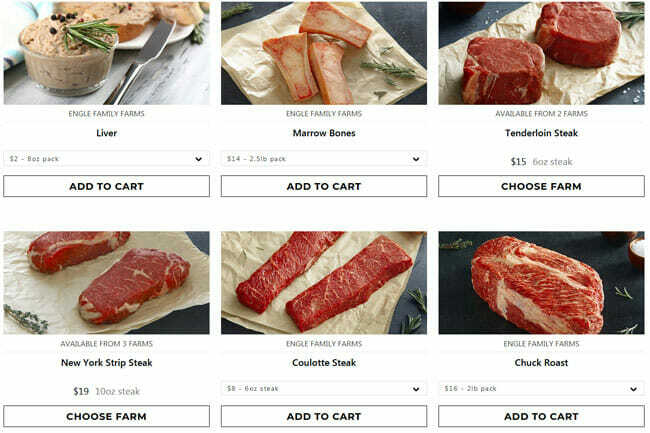 As suggested previously in this Crowd Cow review, this service offers customers a unique opportunity to buy premium meat at peak freshness, with no extra middlemen involved. Keeping in mind that the meat sold at stores changes many hands and spends weeks in transit and on the shelves before it reaches your home, Crowd Cow represents a far superior choice for your health. Plus, it does not force you to fill your entire fridge and freezer with meat, which is the case with many other services of its kind. Therefore, the benefits for the customers are obvious and include higher meat quality, optimal freshness, full control over the meat selection and quantity delivered, and full knowledge about the meat origin and the production and distribution processes. However, it is important to note that Crowd Cow does a huge favor to the farmers as well and treats them with the respect they deserve. 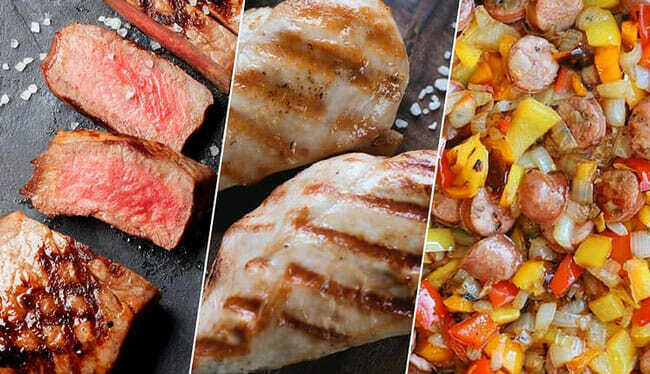 The meat sold at stores and many meat delivery services is usually nameless. The farmers and ranchers who worked hard on raising the animals remain unknown, so even if customers love their products, they rarely get any credit. With Crowd Cow, their name stands next to each of their products, improving ranch or farm visibility and recognizability. Not only that, but Crowd Cow gives small farms and ranches a chance they would not get otherwise. The service makes it easy for them to reach potential customers, so they can focus on raising animals the right way instead of wasting their time on building product placement strategies. Thus, Crowd Cow helps support local economies and small, family-owned farms and ranches that offer superior-quality products but generally have a hard time reaching larger numbers of customers. If you know meat lovers who would love the Crowd Cow concept and appreciate its quality standards, you can spread the word and delight your friends by purchasing Crowd Cow gift cards. The values range from just $25 to $250. Crowd Cow’s offer changes on a regular basis, depending on the farms, ranches, and regions currently featured. However, no matter when you stop by, you can get locally-grown, pasture-raised beef, Japanese and American wagyu beef, and pasture-raised heritage pork and chicken. 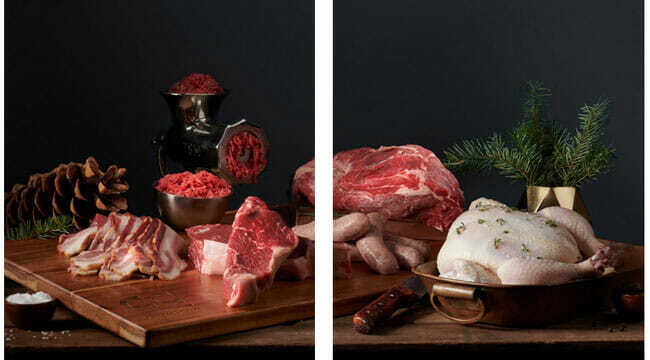 The service focuses on meat that has been dry aged, usually for 14 days. At all times, there are over a hundred different cuts and products available. Pasture-raised beef comes in grass-finished and grain-finished varieties. You can opt for packages including 3 or more kinds of cuts or you can purchase individual cuts in specific sizes and quantities. As far as the selection goes, if it is a part of the animal’s body, you can get it at the Crowd Cow store. In other words, there is everything from filet mignon to cow tongue. 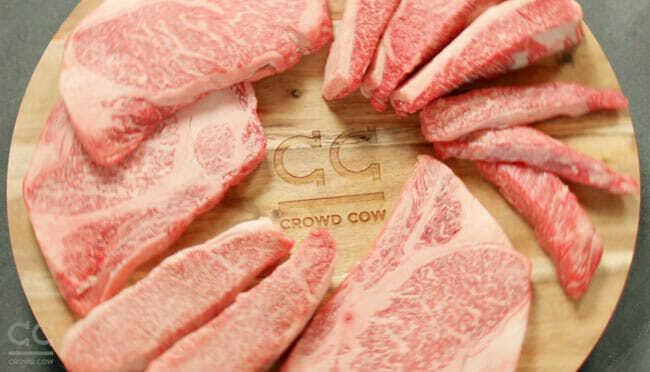 If wagyu is your beef of choice, Crowd Cow is the perfect place to get it. You can order A5 wagyu and the rarest olive wagyu from Japan and enjoy flavors unlike any other. If you prefer wagyu beef grown locally, you can get purebred wagyu grown in America but with herd lineage traced back to Japan. Once again, the selection of cuts is immense. Just like with beef, you can get pasture-raised heritage pork in bundles or purchase individual cuts and products. You can usually choose from 2 farms and get everything from pork chops and spareribs to bacon and Italian sausage. Finally, if you are interested in chicken, you can usually get pasture-raised chicken from a single handpicked farm. The options include convenient bundles like the Grill pack, the Lean Protein pack or the Dark Meat Lovers pack, as well as individual items, including breasts, thighs, drumsticks, sausage, liver, feet, and more. To sum up, the Crowd Cow shop always features pasture-raised beef, wagyu beef, pork, and chicken from several carefully selected farms and offers all cuts you can or cannot name, thus easily satisfying the needs of meat lovers with diverse preferences. All items are free from unnecessary antibiotics, hormones, and GMOs. It is hard to talk about Crowd Cow’s pricing since there are so many individually priced items in the shop and it all depends on its ever-changing selection of farms and ranches. Still, this Crowd Cow review would not be complete if we did not give you a sense of what you can expect price-wise. At the moment, you can get a 12 oz. New York strip steak for $22, a 12 oz. thick-cut tenderloin steak for $30, an 8 oz. flat iron steak for $8, a 1-pound tri-tip for $16, and 1 pound of burger patties for $10. Deliciously marbled Japanese wagyu cuts start at about $5.7 per ounce. America wagyu is much more affordable, starting at around $1.75 per ounce. If you opt for heritage pork, you can get a whole hog share weighing about 13 pounds for $273, a pound of pork chops for $20, 12 oz. of thick-cut bacon for $27, and 12 oz. of Italian sausage for $12. In the chicken section, you can get a whole 3-pound chicken for $21, a 2-pound pack of chicken wings for $20, a 1-pound pack of chicken breasts for $24 or a 1-pound pack of chicken liver for $8. As far as subscriptions go, you can get a 12-pound mix of grass-finished and grain-finished ground beef for $75. Grass-finished-only and grain-finished-only boxes come at a price of $79 per 12-pound package. Thus, with the auto-shipment option, you pay $6.25 or $6.58 per pound of pasture-raised ground beef. The shipping costs start at $12.99 and vary depending on location. The service delivers throughout the continental US. At the moment, it does not ship to Alaska and Hawaii. When you place your order, you will get an estimated delivery date. Delivery status messages are sent via email or text, allowing you to easily track your shipment. No signature is required and you do not have to be at home to receive your order. To make sure Crowd Cow meets all your standards and expectations, it is important to know its biggest advantages and disadvantages. With a short overview of its pros and cons, you can easily decide if Crowd Cow is the right company for you. With everything said so far, we can simply conclude that Crowd Cow was created with true meat lovers in mind who seek perfect quality, freshness, and flavor and leave no room for compromises. While the prices are not low, they are justified by the convenience, superior product quality, immense variety, and amount of work invested in realizing this one-of-a-kind concept. If you want to enjoy only the healthiest, tastiest, freshest meat from the best family-owned farms in America, Crowd Cow is the right choice for you. Our ratings are the result of an objective and independent evaluation of Crowd Cow, generating the final rating that reflects the overall quality of the company. Ratings may change as the service changes. Crowd Cow customer rating based on 3 customer reviews. We found 0 verified Crowd Cow discounts for April, 2019. There are no Crowd Cow coupons or discounts right now. If you like Crowd Cow but aren’t sure whether they are truly the ideal choice for you, you may want to take a look at our comparisons below to discover if one of their competitors is more suitable for you.